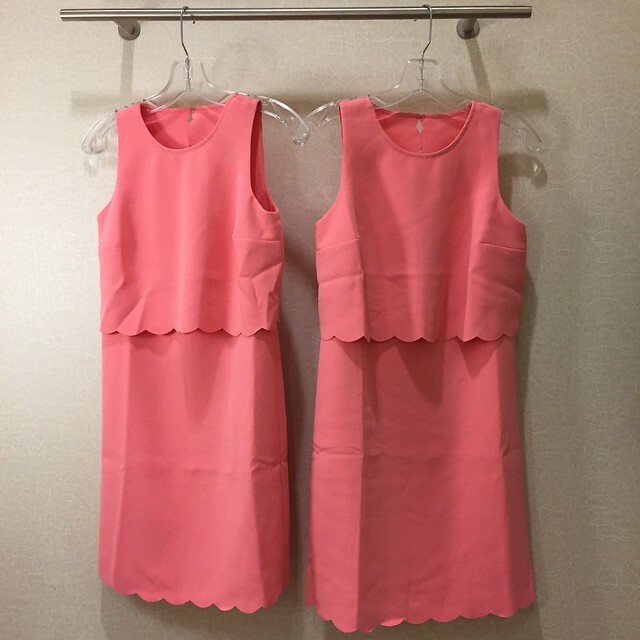 Update 3/17: As of midnight the dress scallop crop illusion dress is now available for purchase on the LOFT website in regular (style# 354384) and petites (style# 363947) sizes. See it on the lovely Kayla Gross here and styled here with a statement necklace by Montage Fashionista. The LOFT scallop crop illusion dress from their recent mailer (see here) is now available online! It’s marked as sold out online but I just saw this dress in petites at the Wareham Crossing open mall and in regular missy sizing at the South Shore Mall today. I also called customer service and one of the stores today and they both said it was available for pre-order . Hopefully the current sold out status is just their way to mark it as a placeholder online until they flip the availability. In the meantime you can use the style numbers (regular style# 354384; petites style# 363947) to call your local LOFT and snag this dress while it’s still 40% off. I personally fond that this dress runs at least one size larger since I fit size 00P even though I usually take size 0/XSP in LOFT dresses and sometimes 00/XXS regular. Refer to my size reference here. I usually carry a small retractable measuring tape in my purse unless I left it at home so I took quick measurements of both sizes in the fitting room. 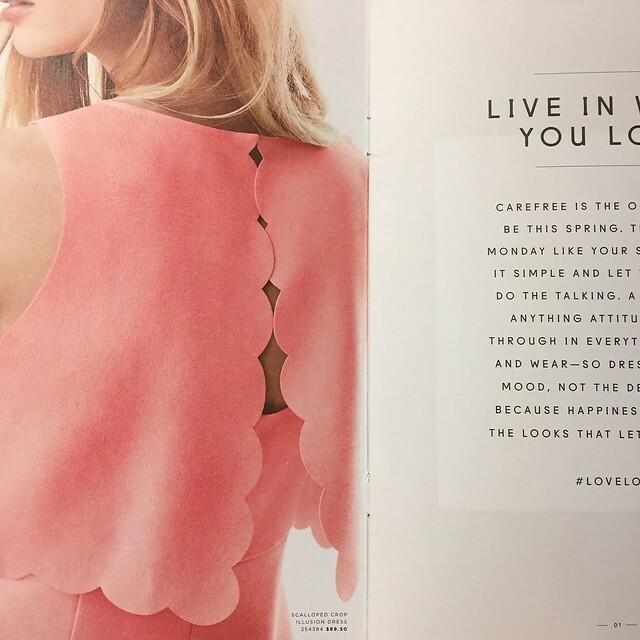 The adorable back detail is held together by a small clasp and it looks like a little scalloped cape. 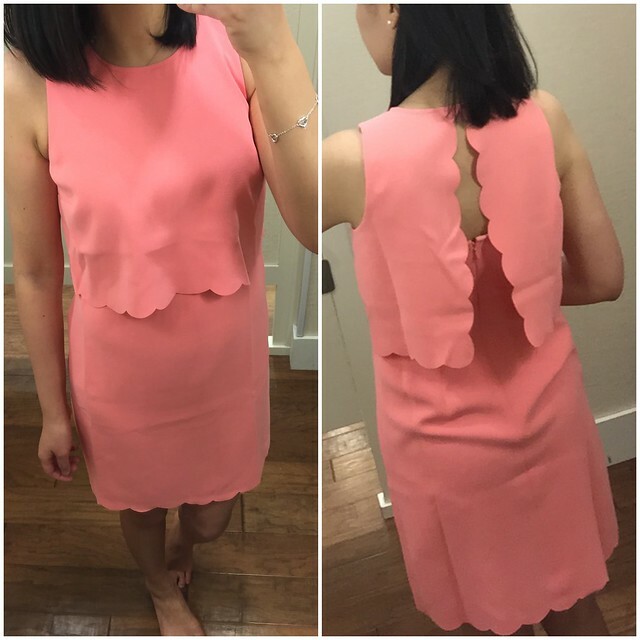 When you’re wearing the dress the back is meant to be a little open showing just a peek of skin while still covering your bra straps because it’s a normal sheath shift dress underneath. I tried on both 00P and 0P below and I like the fit of the sheath dress for size 00P but the length of the crop top for size 0P. I have a smaller chest (I wear a 32A or 30B bra) so the bust darts in both sizes didn’t lay properly on me in either size. It’s harder to tell with size 00P picture below but I had to thrust my chest forward more for it to look like how it should fit but the crop top just doesn’t drape well over my bust. 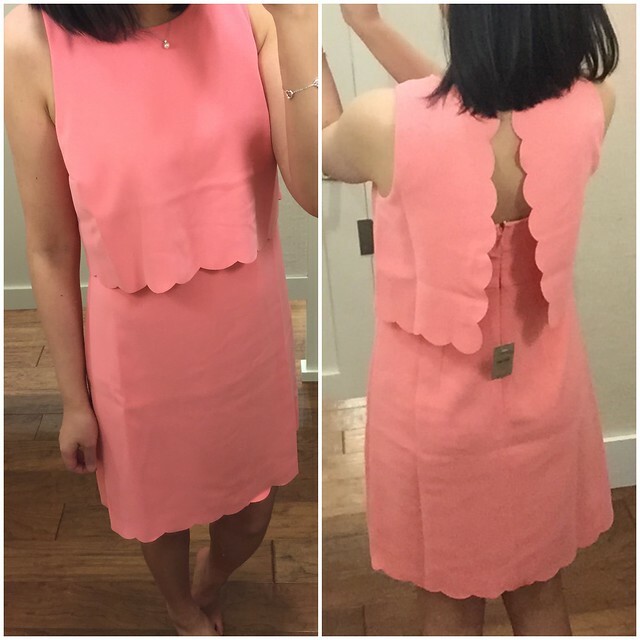 If you have a slightly fuller bust then this dress should work for you but I wasn’t able to fill it out properly. The bust darts should be an easy thing to fix if you can sew or you can take it to a tailor but given my own sizing issues I decided to pass on this pretty new arrival. Note: As I’m typing up this post I also just noticed a similar poplin crop illusion dress appear online in fiesta yellow so I’m pretty sure LOFT is updating their website with new spring styles. 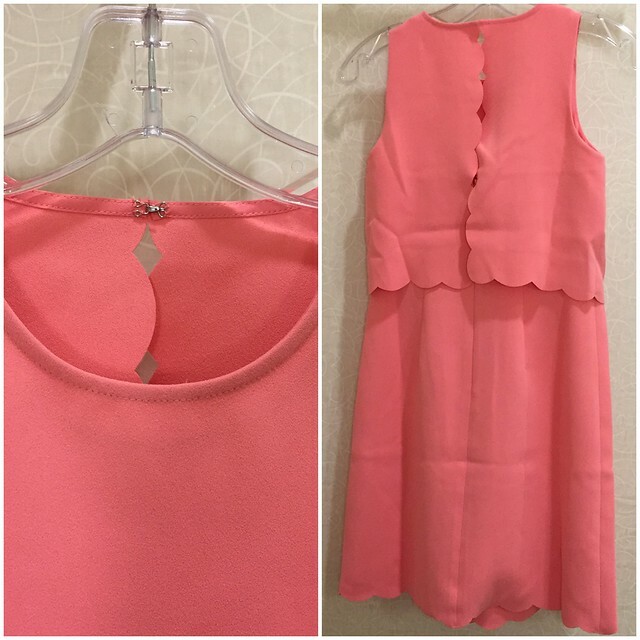 It wasn’t there in the Google search results about an hour ago while the scalloped crop illusion dress was. From the back of size 00P you can see that the sheath dress skims my figure while size 0P makes me appear much wider. Conversely when comparing the the front crop portion of the dress you can see that size 0P drapes better but the bust darts are to the on the far side of my chest. 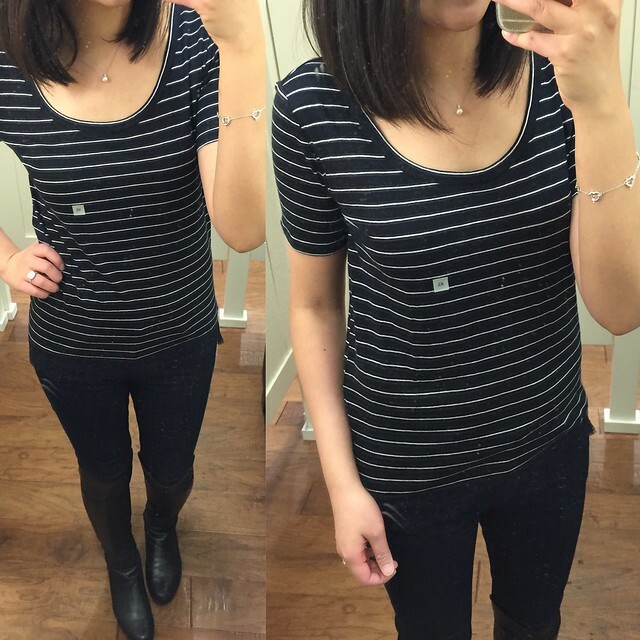 Here are some of my other fitting room try-ons. I’ve never been to Wareham, MA before but I accompanied my husband since he was in the area for something work related. The ladies at this local LOFT store were very nice and the store has a pretty good selection of regular and petite items as well as Lou & Grey. 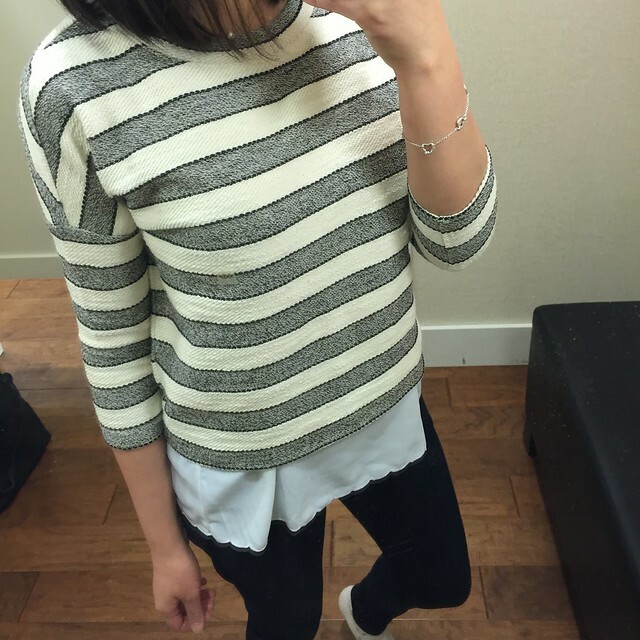 This striped hi-low hem sweater reminds me of my favorite mesh trim sweater (seen here) from last year. I tried on size XS (above in forever navy) and size S (below in whisper white) and I liked the slightly oversized fit of size S on me for the longer length due to the cropped fit. I came across this lapeled light chambray shirt and in the clearance racks (it’s currently final sale for $14.93 after discounts online). 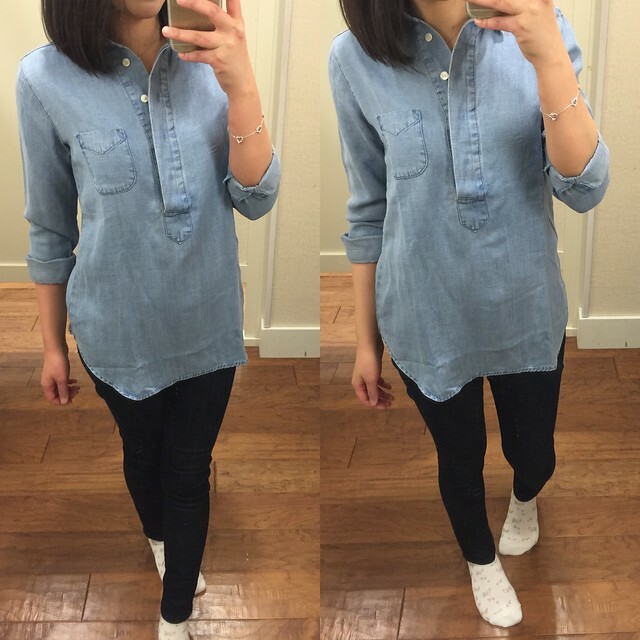 Size XXSP fits me really well but I just bought the drapey chambray softened shirt in this post. I also found this tweed stripe sweatshirt in the clearance rack and tried it on for size. It’s actually surprisingly cute on but the arms are way too tight for me in XXSP so I would probably need this in XSP. It’s currently final sale for $23.99 after discounts online. 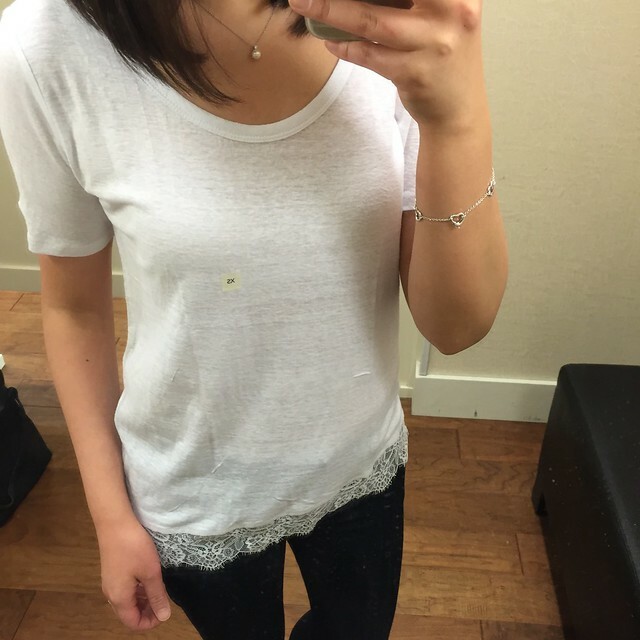 As I mentioned in this post LOFT outlet has a similar lace sleeve/hem tee but I tried this lace hem tee on for size. I found the regular LOFT version to be too sheer and to be honest the white actually seemed kind of dingy in real life so I wouldn’t recommend it. The black color option seems okay but the LOFT outlet version is far superior with the cute lace details on the sleeves. I also saw this similar striped lace hem tee below but it wasn’t very flattering on me. Unlike the solid version above I think the scoop neck is a bit lower, rounder on the striped version unless you layer with a cami or don’t mind flashing cleavage. 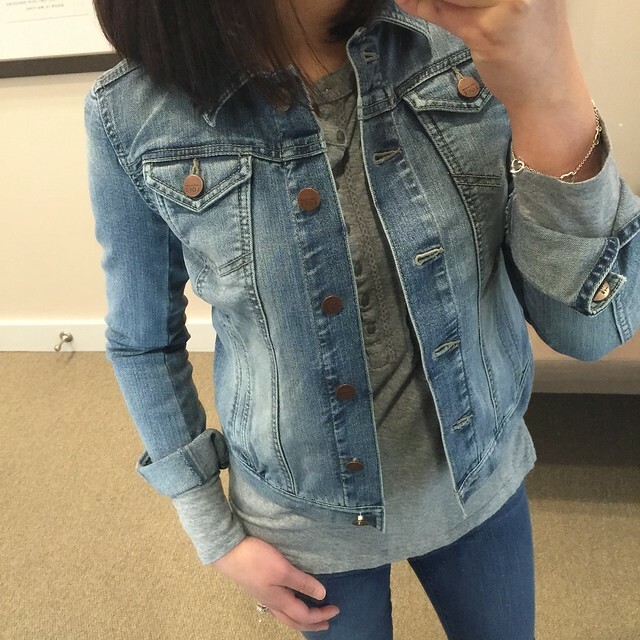 Update 3/15: I tried on this denim jacket in aquamarine blue since I’m always on the look out for the perfect jean jacket. I like this wash a lot and the sleeves fold up and look really cute but since I rarely wear the three that I already own I passed on it for now. 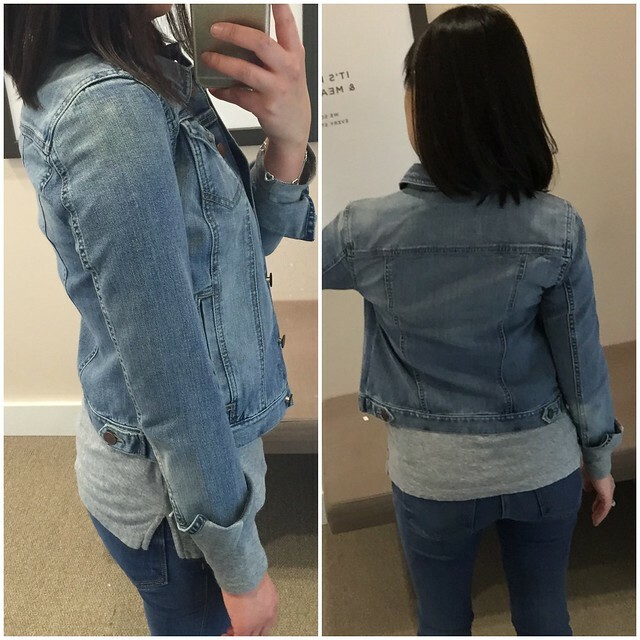 Last year I got a light wash jean jacket at LOFT in XSP but it’s a bit too wide and boxy on me so I ended up not wearing it no more than a few times. I also got a white linen “denim” jacket from LOFT but my cleaners actually got a light stain on it when I had it cleaned and stored away for the end of the summer. The year before I found one from J.Crew but the sleeves are too tight for layering or folding up comfortably. I was disappointed that all the jeans I wanted at Banana Republic were BR Picks so they were excluded from the Friends & Family event this weekend. I headed to LOFT which was right across and tried on these denim leggings in center blue wash in size 24/00P. This pair runs big since it fits me (refer to my size reference here) and I’m usually a 25/0P or 26/2P in bottoms. In fact all of LOFT‘s bottoms seem to run big due to vanity sizing. The material of this pair is really stretchy and for once the length wasn’t too short but at the same time they were a bit too long (likely 28″) on me causing more bunching at the bottom than I would like. Due to the very tapered ankles it didn’t look quite right folded. Jess, amazing. lol….You dress up looking girly in pink and scallops to looking like a tough motorcycle-riding chick all in one post. Love it. 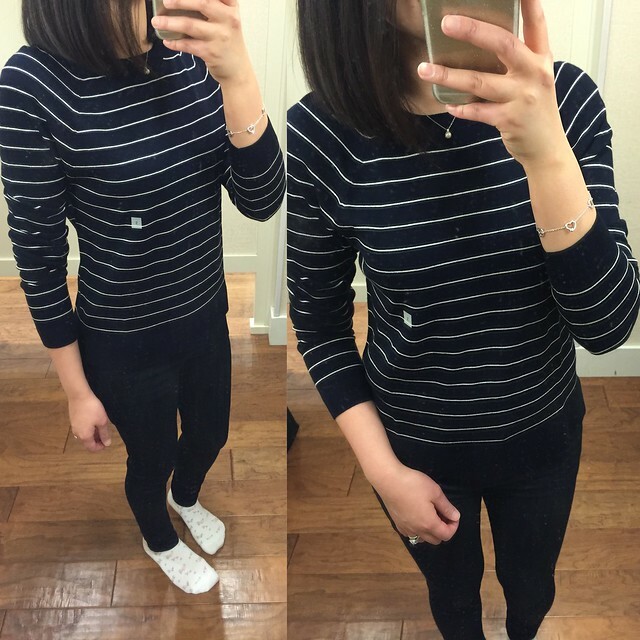 😀 ahhh, sweaters Jess….thank you for the reviews. hehe, you know me too well that I like sweaters too much.Yes, that hi-low striped sweater really reminded me of the mesh one you own…though I much really prefer your mesh striped sweater b/c it's classic thin stripes with a twist. *want* Actually i've been scouring through ebay looking for yours w/no avail ever since that post. I gave up. lolTil next time! scallops everywhere! love it hehexojoycewww.teawithmd.comHealth & beauty blog from a dermatologist! The BR in Boston Prudential center has the best selection of petites but the small sizes can go quick since it's also a college town. I used to be BR obsessed before becoming LOFT obsessed. 😉 I think I find a pair of jeans I love every few years so yes they're very hard to shop for. Thanks for keeping an eye on my wishlist. I removed a few items I changed my mind about. I'm excited to get the two pretty tops I ordered from F21.